Governor Samuel Ortom of Benue State, on Friday, raised a fresh alarm over influx of herdsmen and their cattle into parts of the state. 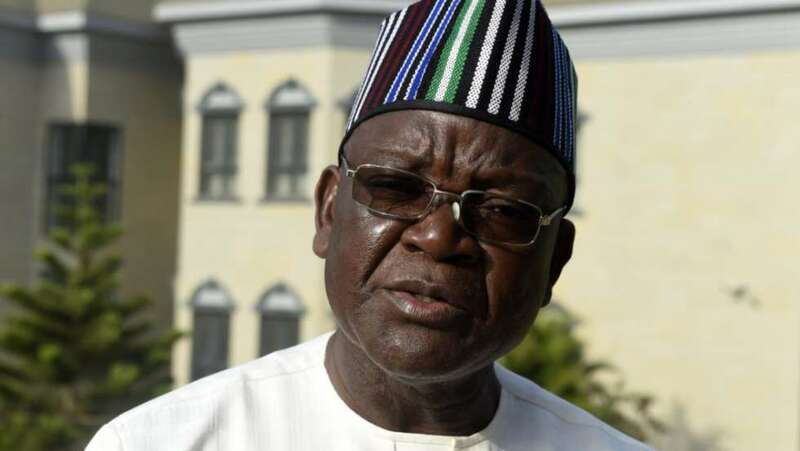 Governor Ortom raised the alarm at the St Ignatius Quasi Parish, Ukpor-Mbalom community in Gwer East Local Government Area during the rite of atonement and purification of Mbalom land in honour of two Catholic priests and 17 other parishioners who were killed in April this year. The governor disclosed that he was alerted earlier in the day that Fulani herdsmen were already moving from Nasarawa State into Benue from the Guma and Gwer West local government areas axis of the state. “This morning I was alerted that Fulani herdsmen have started moving from Nasarawa to Guma and Gwer West LGAs. But let’s us continue to pray,” he said. He regretted that some people in the high places including some Benue indigenes were bent on changing the narratives of the Benue killings at all cost. The Governor said they have started achieving their aim by blaming the tragedy on the victims while the alleged perpetrators who had severally admitted to the crime have continued to walk freely in the society. Governor Ortom who insisted that the invasion was not about grazing but about crude occupation of the Benue Valley however urged people of the state to be vigilant and never be intimidated by the challenges. He maintained that the brutal murder of the priests and 17 parishioners inside the church would never be in vain even as he prayed that the incident would become glorious for the benefits of the people. In his sermon at the purification service, Bishop of Makurdi Diocese, Wilfred Anagbe, disclosed that the mass was meant to atone for forgiveness from God on behalf of the deceased and cleansing of the Mbalom land which was violated by the killer gunmen. He explained further that the Catholic church would not keep silence over the matter, rather, the church would continue to cry until its voice is heard. Anagbe, who also appealed to politicians to stop playing politics with people’s lives so as not to incur the wrath of God challenged those in leadership positions to embark on live changing programmes that would make them to attract goodwill from the electorate. It would be recalled that on Tuesday, April 24, this year, some gunmen attacked some Catholic faithful while they were observing the 5:30am mass at St. Ignatius’ Catholic Church in Mbalom rural community of Gwer East, killing the two priests and 17 parishioners.